Gbenye Faith Halliday, best known as Reward is a composer, choir trainer, music conductor and drums instructor who hails from Bonny Island, Rivers State. He is a prolific and talented drummer. Reward, popularly known for his vocal strength and dexterity, started music at a very tender age of 5 when he joined the children's choir at Fountain Of Praise (Church), Ibadan, Pastored by Rev Columba Niboro now based in America. He was the first drummer of the popular dance drama group called 'the Chosen Vessel Drama Group' A.K.A Alfa Sule and has played for great music ministers like Sinach, Gbenga Adenuga, Big Bolaji, Yetunde Are, Babatunmise, Sola Allyson and several others. He currently serves as a drummer and lead vocalist in Shepherdhill Baptist Church. 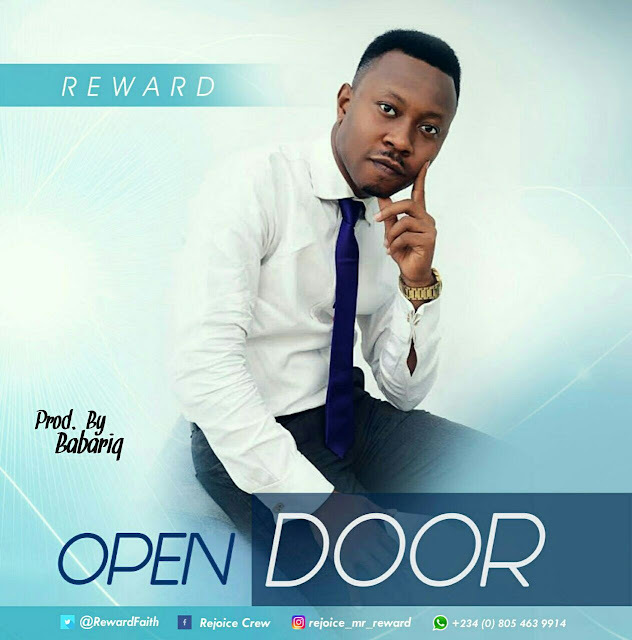 In the spirit of giving, Reward releases his album title track 'Open Door', available for FREE download.